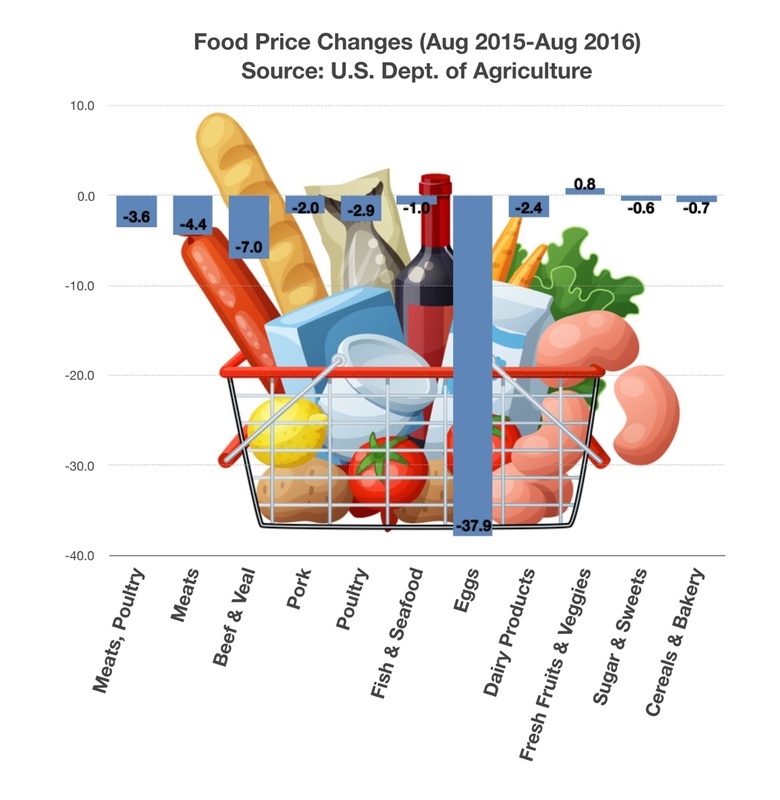 The United States Department of Agriculture tracks a diverse basket of food prices each month in order to determine where price changes might affect consumers and their eating habits. No matter what age or demographical group an individual may belong to, food prices are a significant component of all household expenses. For the period from August 2015 through August 2016, all food prices as a whole did not change, whereas in prior years price increases were more frequent. Yet there were some products that fell in price over the year, including meat, diary and poultry. The most recent data available shows that prices for eggs from August 2015 to August 2016 fell the most of all primary food items purchased by households nationwide. The average cost of a dozen eggs fell over 37% in a year’s time. Consumers tend to respond to changes in food prices fairly quickly because of the frequent purchase of such items. The effect of price changes for larger, infrequent purchases such as automobiles and washing machines may not be as rapidly noticeable.